Billy in Russia. 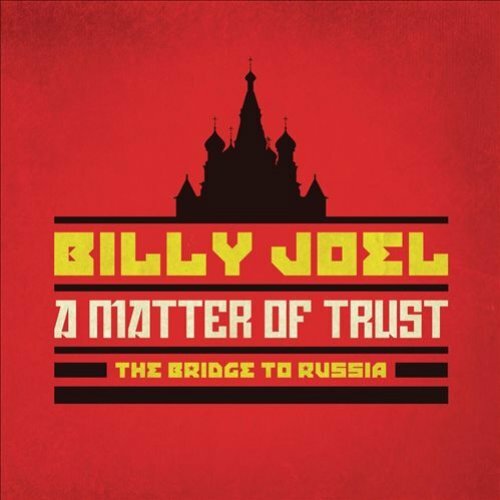 From Billy Joel: A Matter of Trust - The Bridge to Russia. Photo: Neal Preston/SHOWTIME. Audio Concert: 2 CD set with 27 songs, including 11 new performances of songs not previously released. These are indicated with asterisks above. Video Concert: DVD or Blu Ray consisting of 16 songs, including seven new performances of songs not previously released plus a bonus song. New Documentary: Only available with the Deluxe Edition, this is the new 90-minute documentary also entitled "A Matter of Trust: The Bridge to Russia," which first aired on Showtime in January 2014. In the Deluxe Edition, it is on the same disc as the video concert. The old documentary from 1987, which is also called "A Matter of Trust" was not re-released. 4. Deluxe Edition: Audio CDs, DVD or Blu-Ray concert with 90-minute new documentary, and an 80-page book with rare photos and essays. 5. Exclusive Deluxe Edition: From Sony only, has all of #4 above, plus a t-shirt and two posters. Back in 1987, the audio LP and CD released was a single disc called Kohuept and had 16 songs. 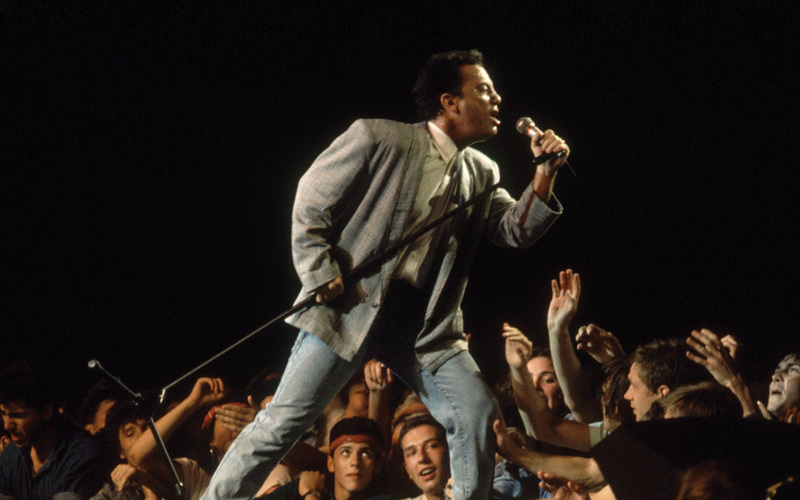 The concert video (VHS), Live in Leningrad, had 10 songs only and was released in 1991. The documentary film, also called A Matter of Trust, was also released on VHS in 1991 and was very well done. See Videos & DVDs. For a more complete review of the Russian tour, see the special edition of Root Beer Rag, Billy's then-newsletter for his fan club. 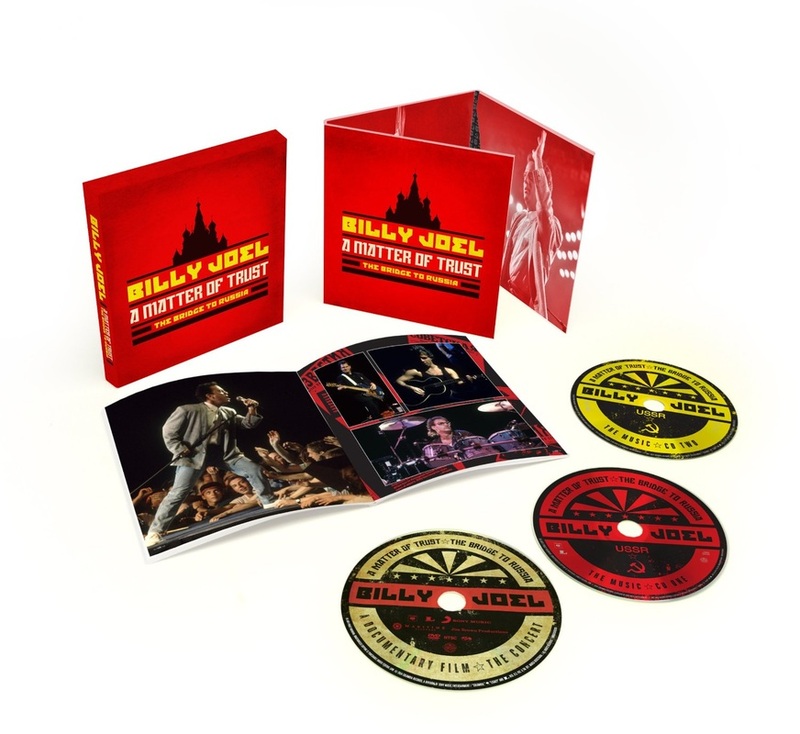 The Exclusive Deluxe Edition, available at www.billyjoel.com, also comes with a t-shirt and two posters. Billy sings to the Russian audience. Still from video: Director, Jim Brown/ SHOWTIME. 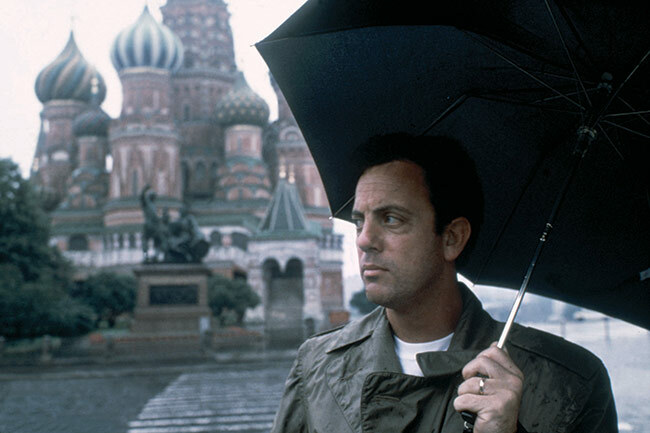 Billy Joel appears on Russian television program, The Ring. Still from video, Director Jim Brown/ SHOWTIME. 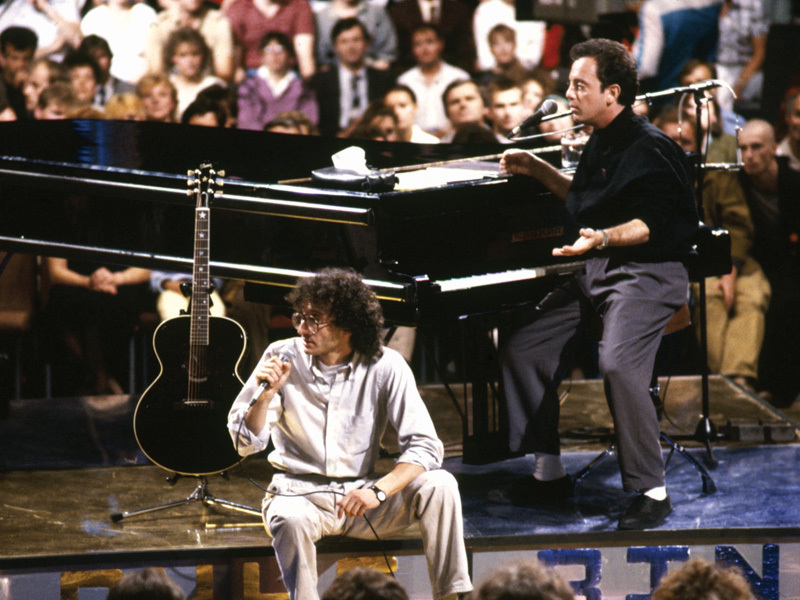 "A Matter of Trust: The Bridge to Russia" featured a 27-song CD and a 16-song concert DVD (made up of Billy's two concerts in Moscow and Leningrad). This video is a preview of the concert before it aired on PBS in June 2014. Video of "You May Be Right" which had not been released back in 1987. This was released along with several other new videos for A Matter of Trust in 2014. Trailer to the documentary "A Matter of Trust: The Bridge to Russia"
Behind-the-scenes look at the 2014 documentary "A Matter of Trust: The Bridge to Russia."